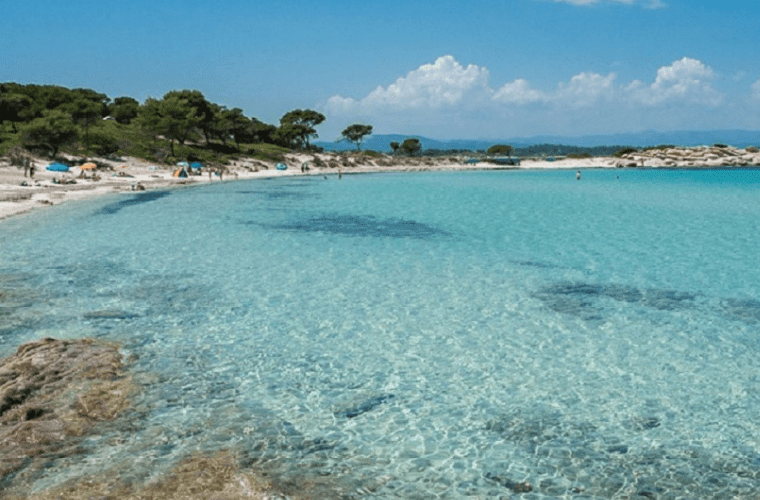 Sithonia is the second peninsula of Chalkidiki and is famous for its beautiful beaches. It is the greenest area of ​​Chalkidiki, as its largest part is covered with pine trees that often reach to the sea! Here you will enjoy truly qualitive and quiet vacations. Check our suggestions for home rentals in Sithonia. 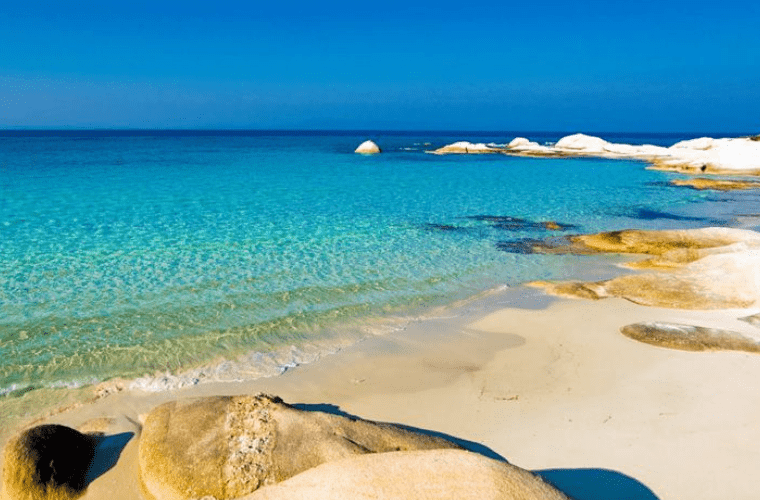 The amazing Kavourotripes beach at the second peninsula of Chalkidiki do not leave any visitor disappointed. The crystal clear waters of the sea combined with the white soft sand create a heavenly landscape. Kavourotripes beach is quite small in size so it's a little bit crowded during July and August. If you want to visit it, you should start early in the morning. 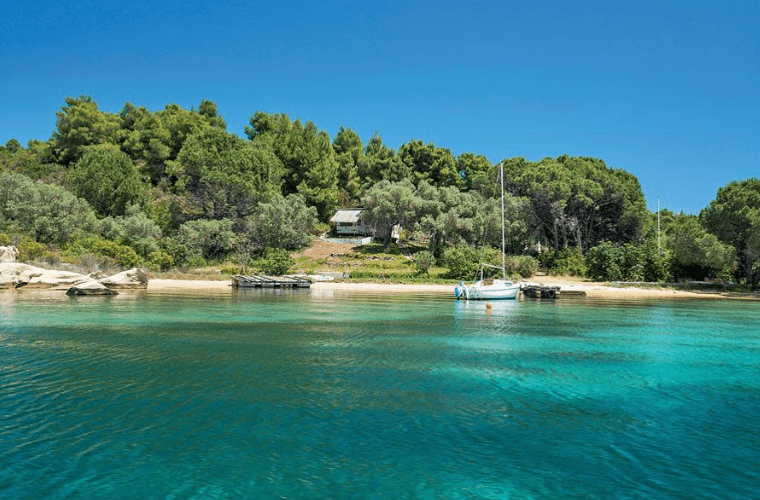 Do you want to explore the beaches of Sithonia by yacht? See here the new trend, the daily cruises in Halkidiki. Karydi beach is located near Vourvourou and is very popular for its warm and clean waters. The pine trees reach almost to the sea and you can even enjoy the shade lying on the beach. Find vacation home rentals in Vourvourou. Nikiti is probably the most famous tourist destination of Sithonia. Every year, thousands of tourists from all over the world choose Nikiti for their summer holidays. Nikiti offers wonderful sea, beach bars for all tastes, restaurants and taverns with quality food and excellent homes for accommodation in Nikiti. The beautiful Platanitsi is located in the eastern coast of Sithonia about 130 km away from Thessaloniki. 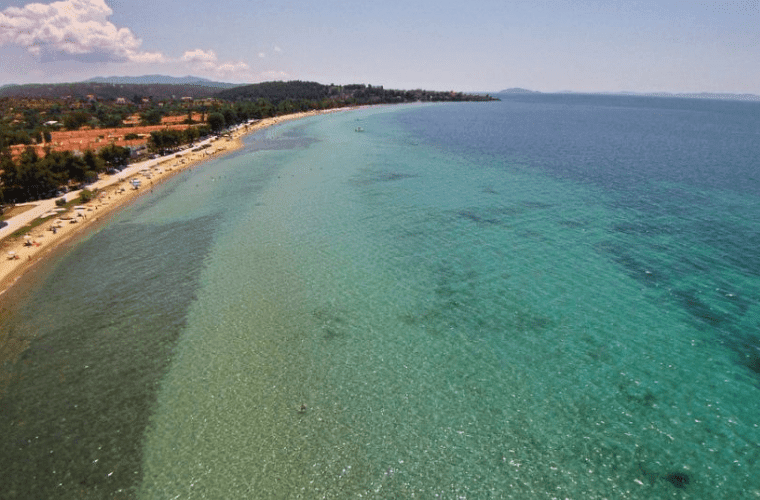 Platanitsi beach is ideal for swimming and water activities! 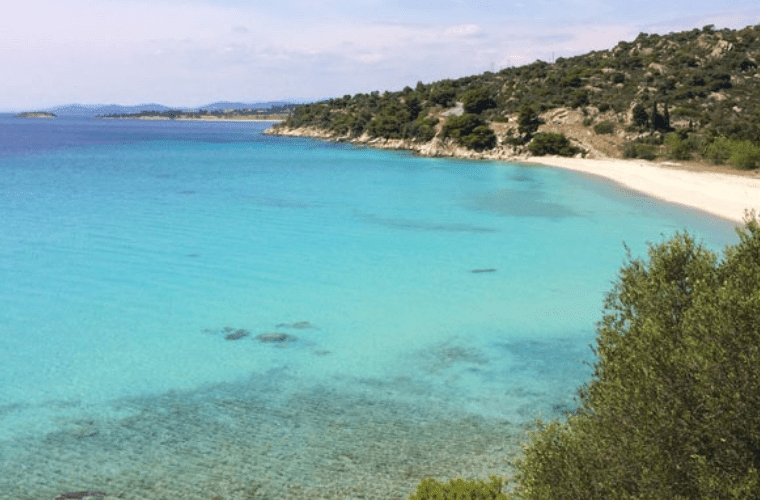 Learn more about the experiences in Halkidiki. 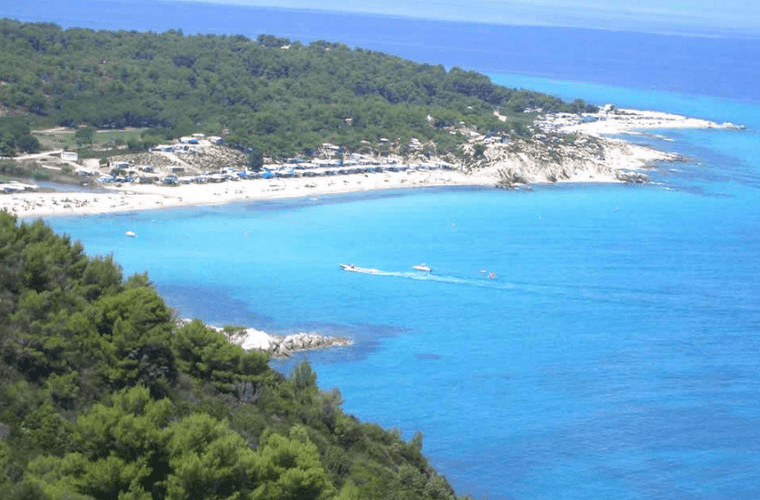 Discover the amazing Koviou beach in Sithonia. This beach will take you on a dream holiday! The crystal waters of the sea are ideal for wonderful summer baths!Sithonia offers many more beautiful beaches! Visit Sithonia in summer of 2019 and experience a unique holiday.